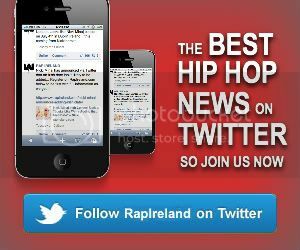 RapIreland.com – The Home of Hip-Hop and RnB in Ireland NEWS R.A The Rugged Man Names Top 5 MCs… Do you agree? R.A The Rugged Man Names Top 5 MCs… Do you agree? R.A. The Rugged Man has picked his top five emcees of all time, and let’s just say if you’re not from the East Coast, you’re not getting any love. Speaking to SOHH, R.A listed 7 artists (in no particular order) whom he ranks as the best to ever do it. Do you agree with his choices? In the midst of this top 5, R.A has two members of the Juice Crew, giving the following reason for his choice. The rest of the top five consisted of Slick Rick and Doug E. Fresh, Redman, Chuck D and Kool Moe Dee. R.A The Rugged Man was also at pains to work out that before the publication of this list he was informed not to include 3 of his favourite artists, Big Daddy Kane, Kool G Rap and Rakim. So in essence we can surmise the rapper’s Top 10.
Who would be at your top table of Hip-Hop? Let us know on Facebook!